In our continued examination of how the Puerto Rico debt crisis came to be, we have identified two telling data points: since year-end 2005, Puerto Rico real GDP has declined by eight percent. Over the same time period, Puerto Rico Gross Public Debt has increased by over 76 percent. The trends are clear in the chart below. 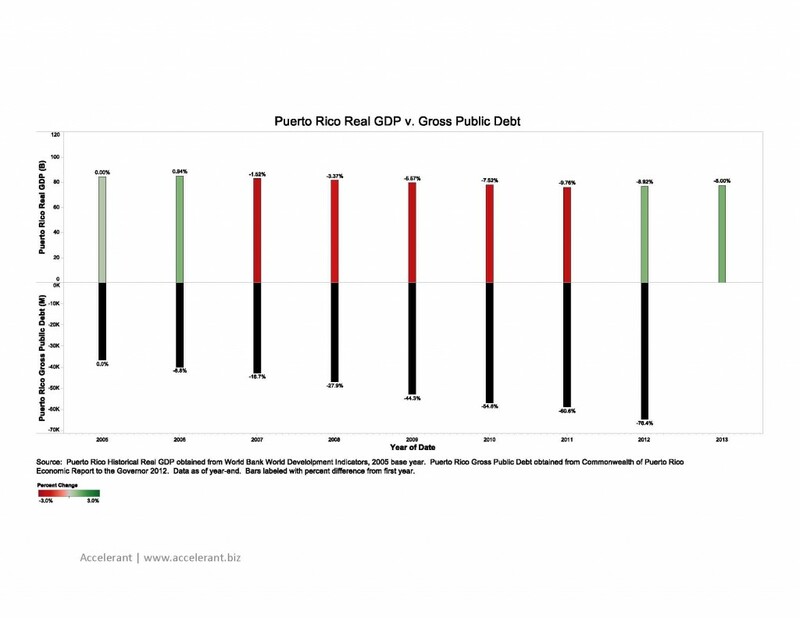 For a high resolution version of the chart, click Puerto Rico Real GDP v. Gross Public Debt.